Ahuja Floors - 5 is one of the perfect residential that meets all your desires and expectations in the most graceful manner and authentic manner. Designed with superior elevation, this architectural edifice is surrounded with tranquil atmosphere so that you can reside away from the city nuisance. Fulfilling the needs of every age-group in your family, this magnanimous creation never compromise with privacy, comfort and luxury. Amplifying fresh air and natural light every living abode is thoughtfully designed and architecturally planned so that you can reside with your loved ones. New Industrial Township is an posh area located in Faridabad. It is an upcoming locality with many recent developments. The locality is well-developed with excellent connectivity with all parts of the city. The Mathura road and Shaheed Bhagat Singh Marg serve as a primary connecting route for the area connecting it to all areas. The Indira Gandhi International Airport is located at a short drive from New Industrial Township. It is served with three Railway halts namely Faridabad New Town Railway, Old Faridabad Railway and Faridabad. New Industrial Township has all facilities located in close vicinity. There are a number of good educational Institutions in the area like Angpuria Educational Institute, Government Boys and Girls Senior Secondary Schools, etc. There are also a number of entertainment zones, shopping centres and recreational areas located here like the Nahar Singh Stadium. There are also a number of Hospitals and Nursing Homes located in the area for ace healthcare facilities. Aravalli Golf Course is present over here. Tikona Park, Children Park and Vasihnav Devi Mandir are some delightful places settled in this place. 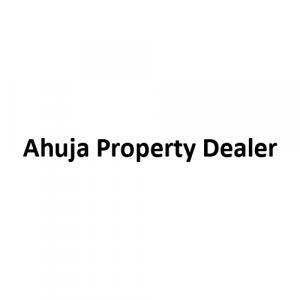 Ahuja Property Dealer is a renowned Real Estate Company that has been in existence since over three decades. They bring the very best quality and happiness at affordable price to make customer’s dream come true. They are committed to provide top quality design. They build good relationships with their clients. They carefully plan amenities that would never trouble your pockets with heavy maintenance costs and save you much more. Ahuja Property Dealer has developed itself to perform alongside the most successful and competent building construction Companies.